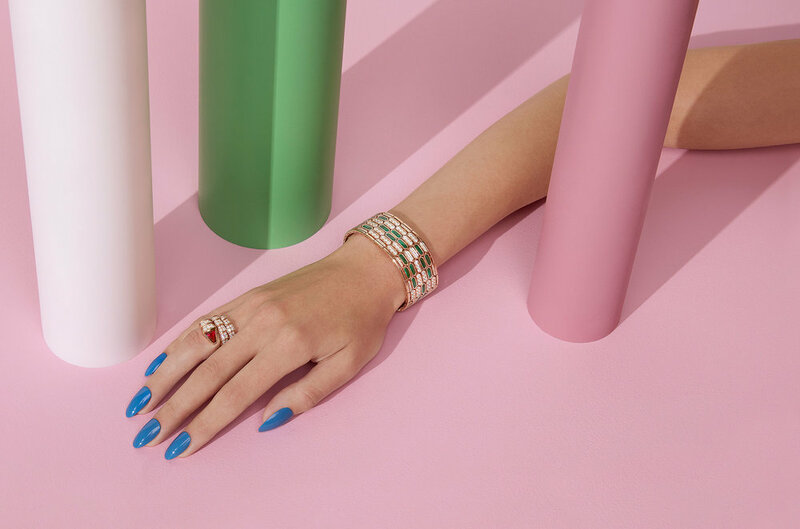 Alyssa Boni, born in LA – raised in London, is a multi award-winning, concept driven photographer and director specialising in fashion and accessories still-life. Alyssa studied graphic design at the London College of Communication, before completing a BA in Photography at Middlesex University. Alyssa’s dissertation project on the works of Lynne Cohen is currently being held in the library of Canada’s National Gallery. After leaving university Alyssa established an in-house photography division for the leading shoe and accessory brand, Kurt Keiger. As an independent photographer Alyssa has worked for brands such as Liberty, Chanel, and Bulgari. Her work has since featured in Vogue UK Magazine, Glass Magazine, Red Thread Journal, Stylist and Schon Magazine amongst others. In 2015 Alyssa directed her first film for Marks and Spencers’ fashion line. Her 2015 #MoreWomen film for Elle UK, picked up awards at D&AD, British Arrows, and the Creative Circle. In the first five days of release the film was watched over 393,000 times on YouTube, a record for ELLE UK. The #MoreWomen video was also viewed over 181,000 times on Facebook, and earned over 10,000 new Twitter followers, and 6,000+ mentions. In January 2017 Alyssa's #StrongWomen film was released as part of Elle Magazine's fitness issue with the January cover star, Rosie Huntington-Whiteley.